A contemporary twist to ethnic fashion. The body of the saree has white colour with Buddha printed on blue colour by its pallu and pleats .This saree showcases sheer texture, light weight and makes for a delightful drape. 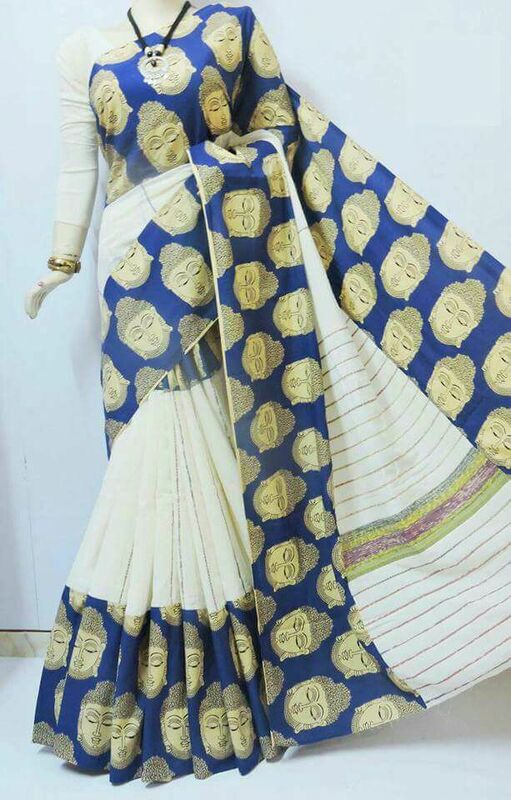 A great fit for every season and all occasions.The saree is accompanied with a blouse piece.